HealthySimulation.com is the world’s premiere Healthcare Simulation resource website, providing the latest news, conference coverage, research highlights, helpful guides, job listings, product demos, vendor contacts, community sharing, and more! Started in 2010 by Lance Baily, the resource has provided well over 1,000,000 page views of medical simulation specific content through thousands of daily articles to hundreds of thousands of healthcare professionals from around the globe. The HealthySim writing team has shared their passion for simulation in healthcare by writing an article every work day, Monday-Friday for almost ten years. We love supporting healthcare professionals utilizing simulation to improve educational, training, and patient safety outcomes — and at no cost to you! To help us do this, we simply ask that you consider sharing our link on your website and through your social media account through the guide below. Support us by sharing our link on your website by copy/pasting the first bolded sentence of this page above (which starts with our website link) to your simulation program’s resource page and…. From 2011 until 2018 Lance also founded and was the Executive Director of SimGHOSTS, a 501(c)(3) non-profit organization that produces healthcare simulation technology specialist conferences demanded all over the world, with previous events at prominent facilities which include Cedars-Sinai Los Angeles, SingHealth Singapore, Mohammad Bin Rashid Medical Center Dubai, GAPS London, Clinical Skills Development Service Brisbane, and Centre Universitaire des Saints-Pères Paris to name a few. He remains today a dedicated Board member as Chairman of the Board. Lance began both of these now international communities while serving as the first Director of the 31,000 square feet multi-institutional multi-disciplinary Clinical Simulation Center of Las Vegas (CSCLV) from 2009 to 2012. This new program was funded by the Nevada System of Higher Education to unite clinical education and training programs from the University of Nevada: Las Vegas School of Nursing, Nevada State College School of Nursing, and University of Nevada: School of Medicine. 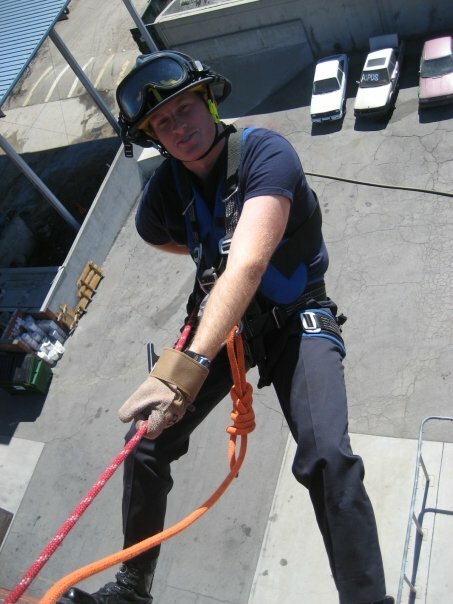 Prior to this Lance served as a Sim Tech for LA Harbor College while becoming a CA Certified Firefighter –all of which somehow took place after he spent four years working in Hollywood’s A-List Production companies and his Bachelors in Film & Digital Media Production from UC: Santa Cruz. Lance acted as Marketing and Strategy Consultant for SimCharacters for the international launch of their new preterm simulator Paul, at IMSH 2017. His campaign produced the most viral video launch of a medical simulation product in the industry’s history, with over 5,000,000 views in one just one week. Most recently, Lance founded a new website, CareersinHealthcare.com, to provide leading resources to prospective healthcare students looking to learn more about healthcare careers with professional interviews from leading experts. Some article content is produced in collaboration with sponsors.